What do you do , Dear? WHAT DO YOU DO, DEAR? 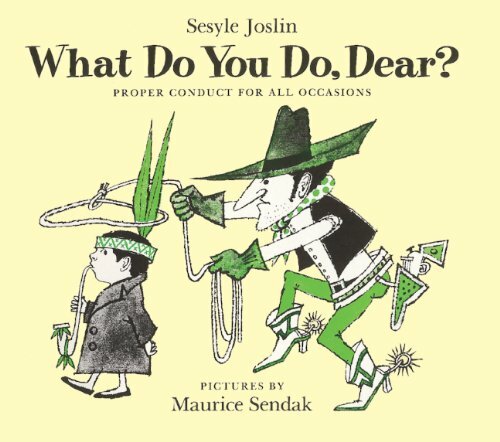 : Proper Conduct for All Occasions was written by Sesyle with pictures by Maurice Sendak Joslin. WHAT DO YOU DO, DEAR? : Proper Conduct for All Occasions was published by Gardners Books.